Melody and words from Dictionnaire de Noëls. 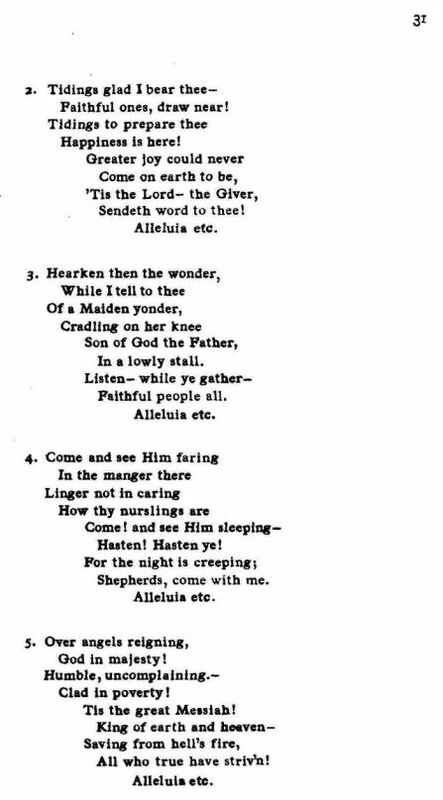 Source: Richard Runciman Terry, Two Hundred Folk Carols (London: Burns Oates & Washbourne Limited, 1933), Carol #54, pp. 30-31. Send this word to thee! All who true have striv'n! 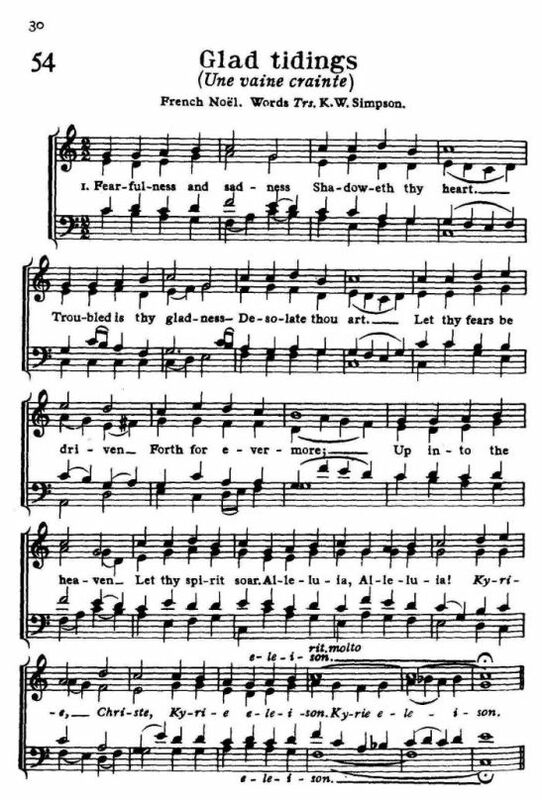 Sheet Music from Richard Runciman Terry, Two Hundred Folk Carols (London: Burns Oates & Washbourne Limited, 1933), Carol #54, pp. 30-31.